Home is where the heart is. Home is where you hang your hat. Cliche, but true. Home is that place we feel safe and secure, where we can rest, recuperate, relax. It’s where we reflect on what we’ve done, what we have yet to do, and for some it’s the only place we call our own. I’m going to touch upon a few of these “homes” I’ve picked up over the years in games (not specifically computer or console games though, as you’ll see shortly). Oh, yes, spoilers ahead. If you haven’t played these games yet, sorry. Deal with it. One of the more recent (comparatively) homes I’ve picked up is the SR-1 Normandy. The nexus of all the events in the first Mass Effect game for the XBox 360 and PC, the Normandy was where I spent a great deal of time talking to my companions. In the ending of the game, she really shines. For the record, Joker is awesome. Spoiler warning for those who haven’t played the games yet (but if you haven’t, you should get around to it): the SR-1 Normandy meets her demise at the beginning of Mass Effect 2. It doesn’t matter how many times I see it, I will forever feel horror watching her break apart, watching my home get destroyed by some unknown aliens. Pour one out for the SR-1 Normandy, boys. The SR-2 Normandy managed to be a more than adequate replacement for the original. Just watch the spoiler heavy introduction of the ship here on YouTube. That ship and my crew have been through a lot together. At the end of Mass Effect 2, the ship is really beat up (more or less depending on how much you upgraded her). It doesn’t matter how many times I go through the end-game, I always sit on the edge of my seat as the Normandy takes a beating… but dishes out a more serious one. I feel that the SR-2 was much more of a home than the original mostly because of the random conversations you could hear just walking past people. Further, the interactions between the two engineers are absolutely hilarious as well as the interaction between Joker and EDI. I reiterate that Joker is awesome. Just putting that out there. Both Normandy’s gave me a sense of security, a place to catch my breath, regroup, and get to know my fellow crew members. It’s where romances flourished and moral issues discussed. Where loyalties were secured. The Normandy had better be in Mass Effect 3 or Bioware is in for a world of hurt. I look forward to my next unique trip to this particular home… but in the meantime, a third play through of Mass Effect 2 is in order. Ahh, the Ebon Hawk. The fastest ship in the galaxy that I happened to “acquire” on Taris about 3996 years before the Battle of Yavin. In Knights of the Old Republic, I battled the Sith while discovering the location of the Star Forge. I built up a group of incredible warriors and lasting friends. In fact, I even benefited from her in Knights of the Old Republic II: The Sith Lords when I “inherited” it from the Peragus Mining Outpost shortly before said outposts’ mysterious destruction. 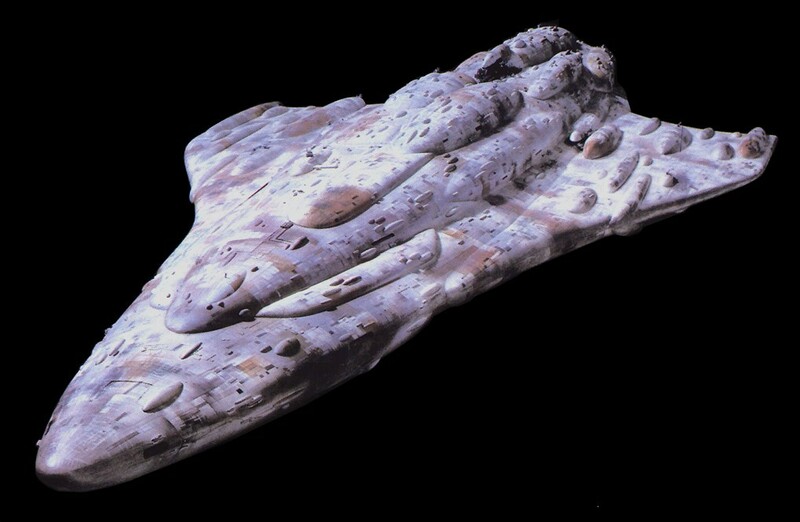 Except for a couple of times (invading Sith troopers, little gizka running all over the ship, the occasional Nar Shadda gang member) the Ebon Hawk was my place of refuge. It was where I could get grenades from Zaalbar, computer spikes from T3-M4, security spikes from Mission, or later, it was where I talked galactic economics with G0-T0 and helped Mandalore rebuild the Mandalorian people. The Star Wars universe was and still is a dangerous place and the Ebon Hawk was my one safe place in it. Got to love the Dynamic freighter. 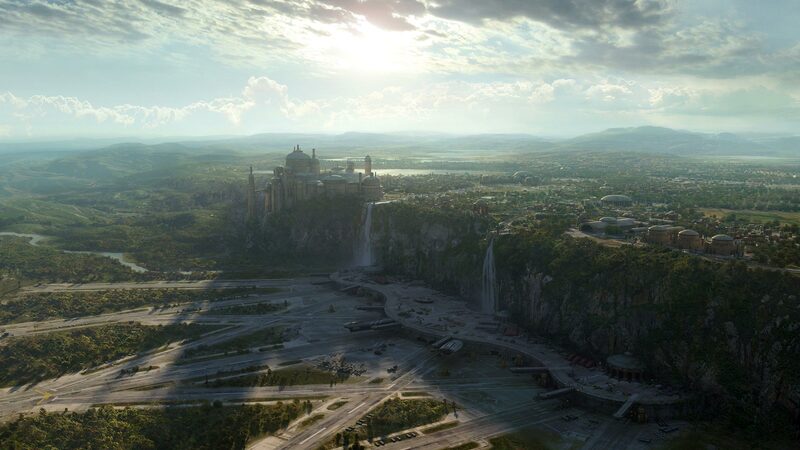 Changing course just a little bit, the capital city of Naboo, Theed, became something of a home to me while playing Star Wars: Galaxies. It was where I got my start in the game and the universe and where I always aspired to hang out when I had a 56k modem. The hospital was always full of players needing wound points removed, the cantina was always full of entertainers and players looking for groups, the palace had quests, the hangar housed my starfighters, and everyone always knew where things were. 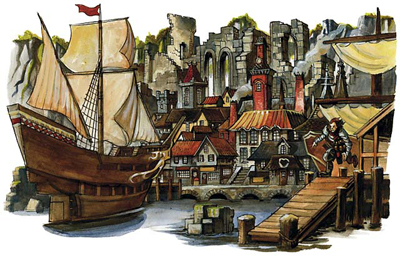 Today, the legacy quest takes you straight through the city and the experience, while changed, is very similar. No longer is the hospital full of players, but the cantina is a recognizable waypoint on the path to getting the buffs necessary to survive many a quest, and you can still find people clustered out in front of the hangar, preparing to tackle their next space mission. There was a point not too far from the city (in fact, not far from the perspective of the above screen) where I sat and looked upon Theed in wonder. In 2003, the graphics cranked up, I saw a handful of waterfalls and, through the mist, the massive palace and just sat there for a minute going, “Holy crap, I’m there.” Why do I keep going back to play Galaxies every now and again? Because I can go THERE and see things that were once only in the movies or in the books and my imagination. However dangerous the wildlife outside the city of Theed, I always find a moment to look back in wonder whenever I’m there. 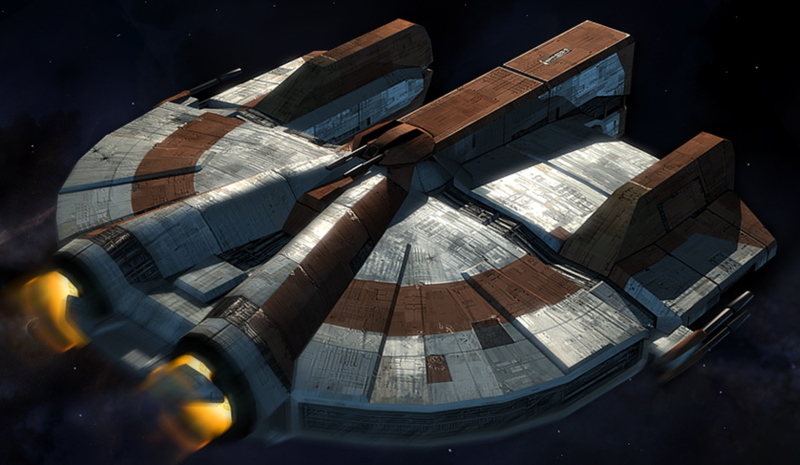 Shifting back to space craft for a bit longer, the Mon Calamari MC80 Star Cruiser Liberty was my home for the latter (and larger) portion of X-Wing Alliance. It’s where I spent many hours in the simulator tackling TIE Fighters to see how many I could swat from the sky in 20 minutes (got up to 186 after a lot of practice, with the first three minutes being 10 kills per minute). It was where I could stop, dry my hands, grab a drink, and prepare to dive into the next mission, the next skirmish. It was where I learned to make the X-Wing truly dance and where I learned to appreciate the raw speed of the A-Wing. The last of the Star Wars locations, I promise. Speaking of flying, I spent a fair amount of time serving in the Confederation. 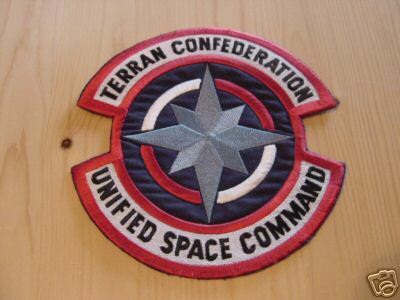 Specifically, the Terran Confederation of Wing Commander. I count as my home every carrier I ever flew off of, especially the TCS Victory and the TCS Intrepid. I will, however, speak a little on each. The TCS Tiger’s Claw, home for the first installment in the Wing Commander series. I didn’t fly from her until college, but the missions were as important as ever, required as much skill if not more than the later games. Safe speeds in an asteroid field were something I paid a great deal of attention to. I was thrilled to get the upgrade from the Hornet to the Scimitar, and even more so to experience the Rapier. The TCS Concordia was where I encountered the extremely ornery Tolwyn (which gave context to my experiences in WC 3 and 4). Wing Commander 2 was a thrill to play, especially with all the controversy surrounding the Kilrathi pilot on board by the callsign of Hobbes. Later, when sabotage showed up and when I could finally prove to Tolwyn the existence of the Stealth fighters that trashed the beloved Tiger’s Claw, I experienced an amazingly deep and complex world where my home was constantly threatened by those pesky Cats. I spent an inordinate amount of time on the TCS Victory. Better known as “Tin Can Sally”, I came to appreciate the varied pilots under my command and the amazing forward firepower of the Thunderbolt VII (with its “Sunday punch” torpedo). When Hobbes betrayed everyone, I was legitimately upset. I came to trust completely in Captain Eisen and reveled in an opportunity to show Flash exactly how we roll on the front lines of the conflict with the Kilrathi. I came to look forward to one day visiting Vaquero’s cantina and I valued the friendship of the cardshark Vagabond. Oh, and Maniac quickly became a favorite annoyance (“I bet you stay up late nights just polishing it huh?” “No, in fact, I get Majors to do that for me.”). Wing Commander IV was an amazing ride that gave me two carriers to call home. The TCS Lexington wasn’t much of a home, so I’m not going to talk about it… mostly because it was my torpedo that took her out. I felt kind of bad about putting the girl down, but hey, Captain Paulson was a bit of a jerk about replacing Captain Eisen. Now, the BWS Intrepid, that was home for the game. When I wanted a lively discussion, I’d sit in on Panther and Hawk or watch Maniac and Dekker have it out. I loved flying the Banshee (Four lasers… where have I benefited from that array of weapons before?) and the Dragon was like a cheat code unto itself. The final cutscene where I flew into Washington, D.C. itself was incredible and I really felt sad that Tolwyn had fallen so far. In Wing Commander Prophecy, I found myself calling the new supercarrier, TCS Midway, home. The fact that Maniac was still around was a bit of a plus, and humbling him was a bit of a pleasure. I still feel bad about not being able to save Dallas. This felt less like a home compared to the Victory and the Intrepid because there were only a couple of places to go on the Midway for a mere pilot. Specifically, in Wing Commander, there was the bar, the bunkroom, and the briefing room. Likewise (I think) for Wing Commander 2. Wing Commander 3 had 7 locations on the Victory I could visit (including the briefing room) and Wing Commander 4 had on the Lexington and Intrepid 5 locations each. Hm, I guess now that I think about it, Wing Commanders 3 and 4 were the anomalies. Oh well. By the time I was done with the Nephilim, the Midway and all her crew was home and family. To round out the space faring ships for this truncated list, I introduce the USS Sovereign from Star Trek: Bridge Commander. 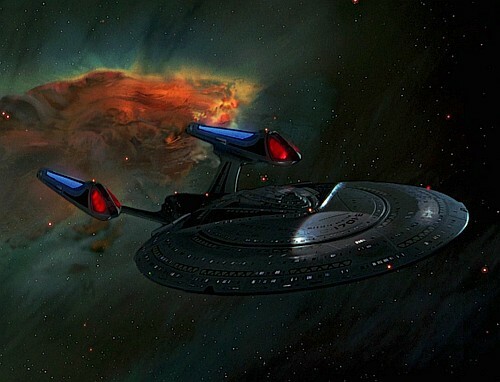 The picture is of the Enterprise, but they’re the same class of ship. 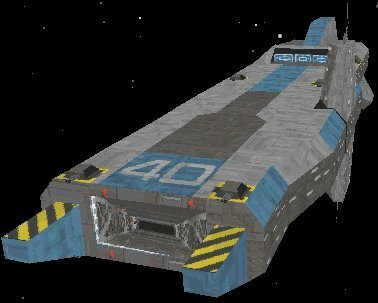 In Bridge Commander, I was originally in charge of the USS Dauntless, a Galaxy-class vessel similar to the Enterprise-D. After a short while, you’re transferred to the Sovereign and there you stay for the remainder of the game. You really don’t go anywhere in the ship aside from the bridge (a pity) but you come to rely on your crew after a fashion and find that your first officer isn’t so much of a cranky princess after a while. Fighting off the rogue Cardassian threat was an incredible introduction into the post-Next Generation/DS9/Voyager world of Star Trek. At least we didn’t have holodeck problems while we tried to figure out why stars were going nova a bit early. Continuing on, I’ve included a location that I’ve never spent much time in, but I fought to preserve anyway. I’m referring to Vault 13 from Fallout. You spend the entire damn game trying to ensure the security and health of the members of the vault and in the end? You’re kicked out by the Overseer because you’re “tainted” by the outside world. *rolls eyes* That guy’s a real punk. Oddly enough, Fallout works perfectly on a Vista machine. Works without the CD too if you did a full install. Oh, and by the way, the Mutant threat? Closer to Vault 13 than anything else on the damn world map. *laughs* I remember reading somewhere that it was supposed to be the vault with the extra water chips instead of an extra Garden of Eden Kit. Whoops. By the way, the Vaults? Nothing but a terrible social experiment by the guys who built them. Yikes. Still, it was home back in the late 1990’s. 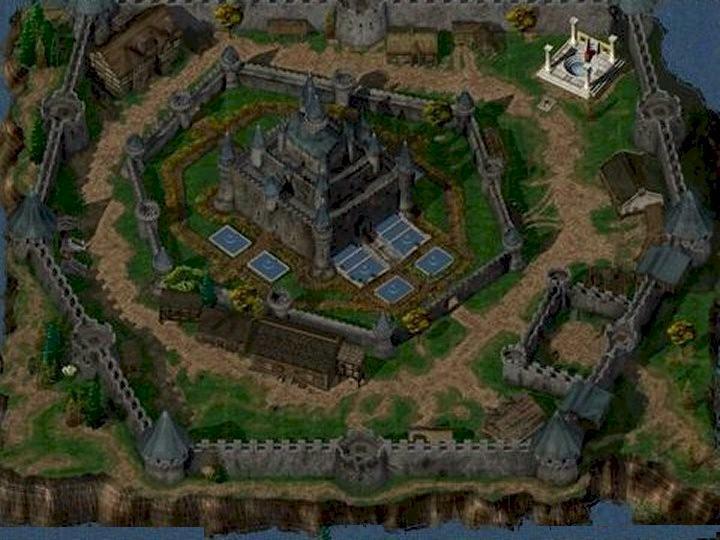 Another location that was introduced to me around the late 1990’s was Candlekeep. Located on the Sword Coast about halfway between Baldur’s Gate and the northern border of the nation of Amn, Candlekeep is one of the only locations in the Forgotten Realms where entrance can be secured by offering up a rare book. This was where I learned to play the game and I was grateful for the opportunity. This was also where I learned what THAC0 meant, as well as several of the ins and outs of the Advanced Dungeons & Dragons system. It’s also where my character lost their adoptive father and started on their quest for vengeance and understanding. If you will, this was my actual first introduction to Dungeons & Dragons and today, well, I try to find excuses to visit Candlekeep. Next on this list is another Forgotten Realms location, Silverymoon. Silverymoon is often dubbed “the Gem of the North”. 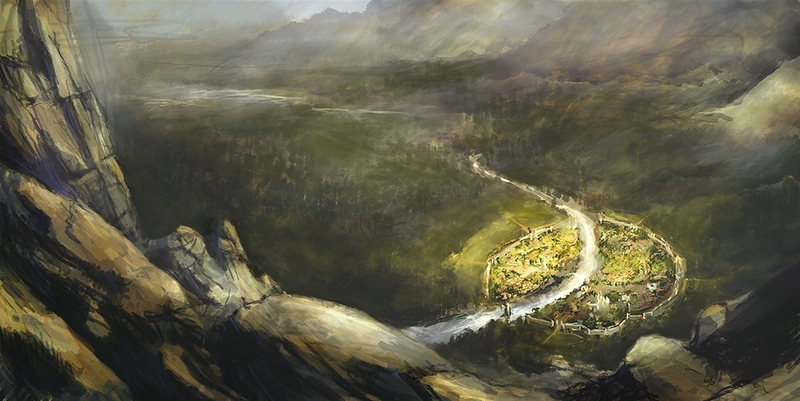 It is one of the few civilized places in the middle of the rough and untamed wilderness that is the North of Faerun. It has a rich cultural life and is renowned as a meeting place for all races that are morally inclined towards good. Why is this a home for me? My favorite and legendary Dungeons & Dragons character, the Psychic Warrior Juan Moore, lives there. He and his party of adventuring friends settled in Silverymoon and are well renowned for their capabilities. I won’t go on for long on this place, but whereas we don’t spend a lot of time AT home, I don’t think we could’ve picked a better location. All the amenities we need are right there in Silverymoon or just a “short” trip away to Waterdeep in the west. These are some of the places I’ve gathered throughout my years of playing games. I’ve spent a great deal of time in each of these locations and I’m attached to some more than others. If I had to pick my favorite Wing Commander carrier though, it’s got to be the TCS Victory. Out of all the others, the Victory is more of a home to me, I know the people, I know the place, I’ll scramble in an Arrow any time to shoot down attacking Kilrathi Paktahn bombers and I’ll be more than happy to take out the offending Skipper missiles. Plus, it’s the only game where I can fly the Thunderbolt… and I love love loved having SIX forward guns. Until next time, never be afraid to go home again.